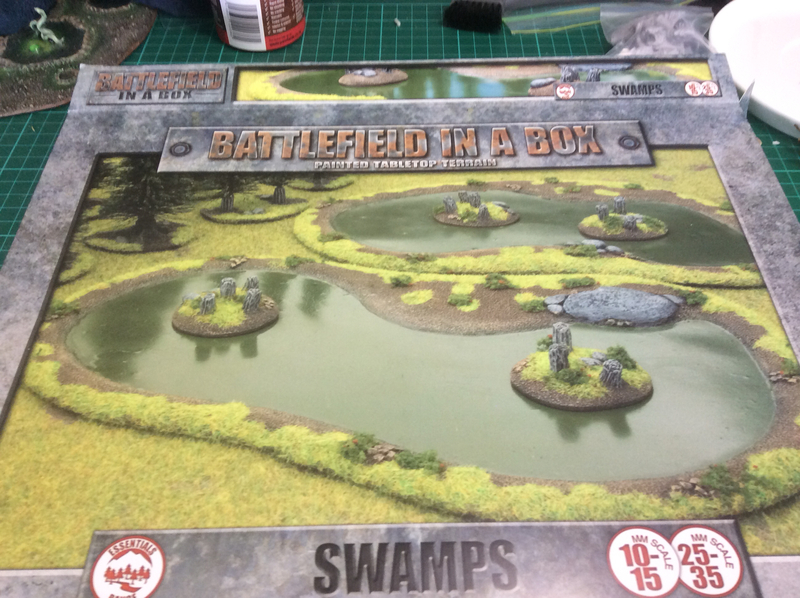 Gale Force Nine make a very nice set of swamps as part of their "Battlefield in a Box" terrain sets. They are perfectly usable straight out of box with just the supplied flock adhered but I wanted to do a little more with mine. 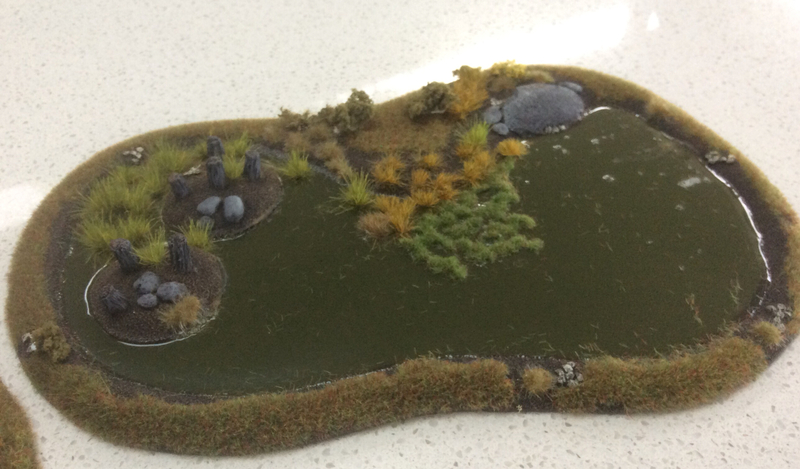 Above is the set as it arrives; two swamps, four islands and two bags of static grass. I decided that I would give the water some depth so after supergluing the islands onto the swamps, I poured in some Realistic Water. This takes awhile to dry. You can see the slightly milky colour the newly poured water is, as it dries it clears. 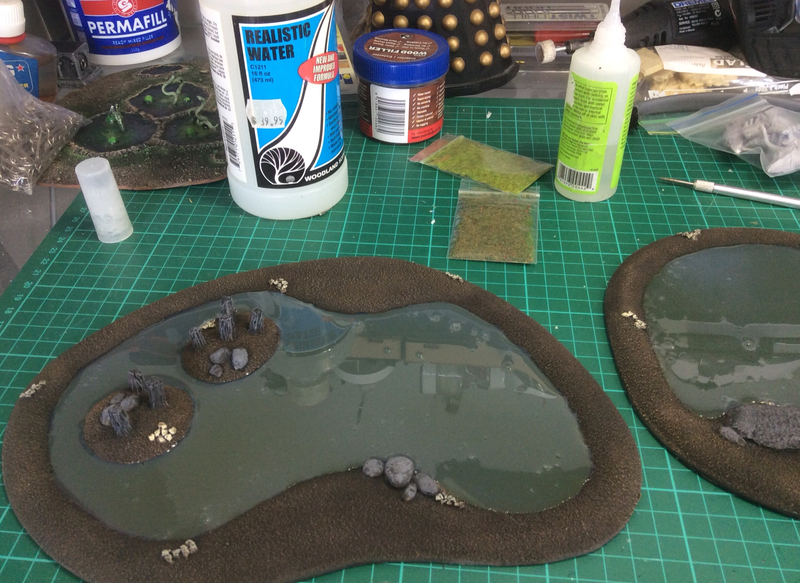 The best thing about the Realistic Water is that you get the odd bubble in the resin. Suddenly your swamp has pondlife! I let the resin dry overnight and it sets hard as it clears. This is also more reflective than straight out of the box. One thing you can do if you wish is put some wash in your resin when you apply it. Then you will have some colour variation in your water. 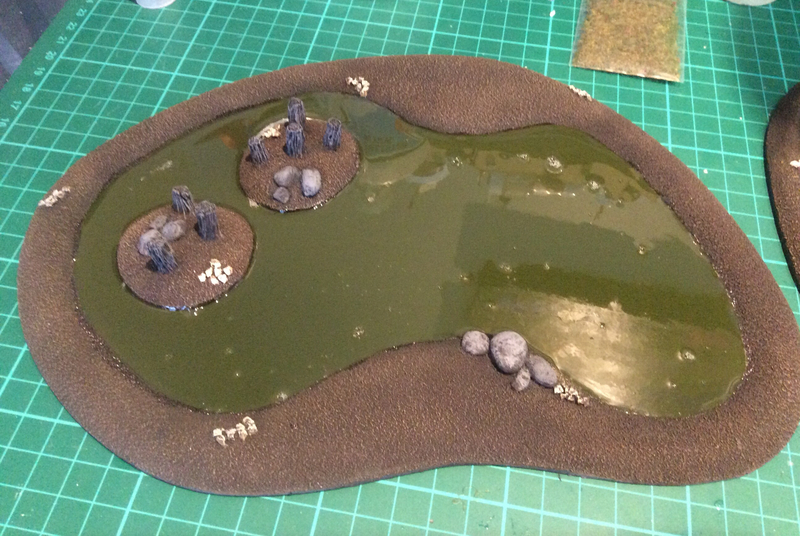 Now that it has set hard, I drybrushes the rocks and tree trunks and then start to add tufts. I have used a variety of reeds, lily pads and swamp grass tufts I had in my basing box. I also added some flowers to give extra colour. 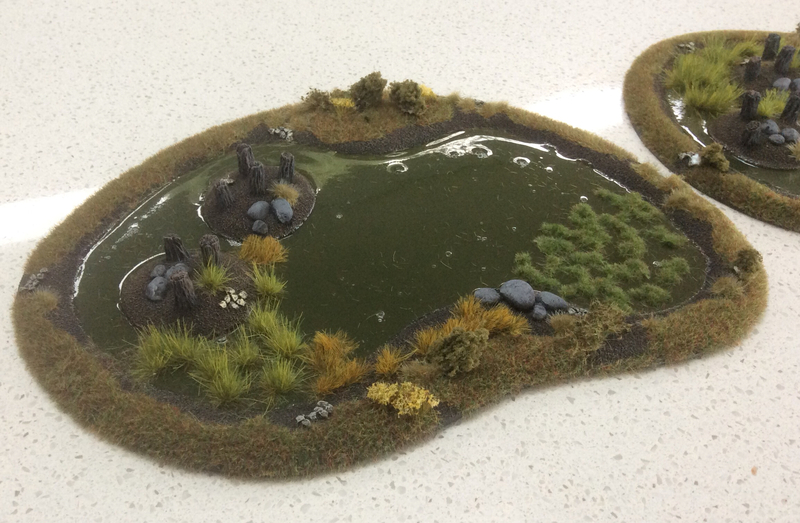 It's now time to add the static grass. Rather than use that supplied, I have some from the Citadel Terrain Kit that I used on my Realm of Battle board, other terrain and army bases. 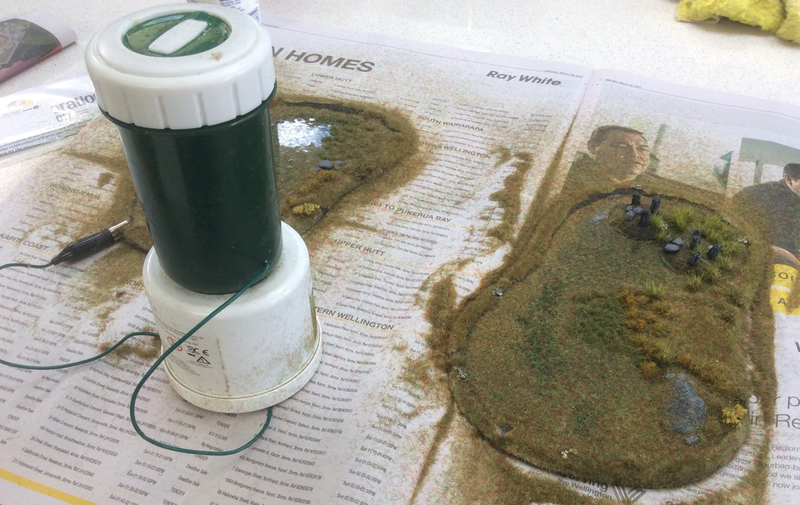 First I apply some PVA and then use my static grass applicator to get the grass to stand upright. You can be fairly liberal when applying it as you'll recover most when you shake it off after that adhering to the PVA dries. And here is the finished article. 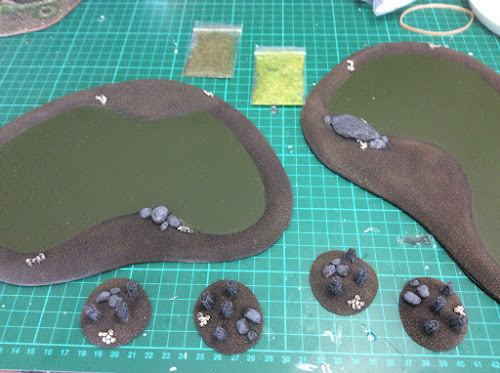 I just need to use the hairdryer to get off some loose static grass and they will be ready to hit the table. 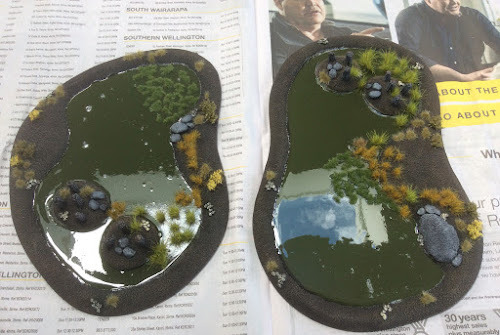 I'm guessing the actual Hobby work - as separate from drying - was less than an hour. What's the static grass applicator? Never heard of it. 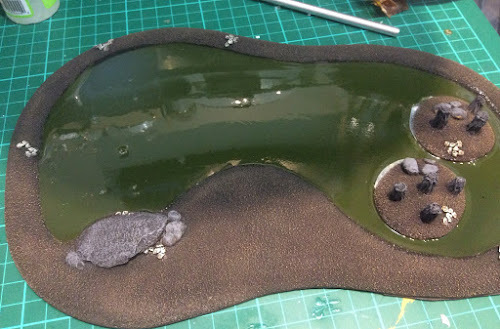 I usually just add PVA then push the flock on. Does this device make a big difference? 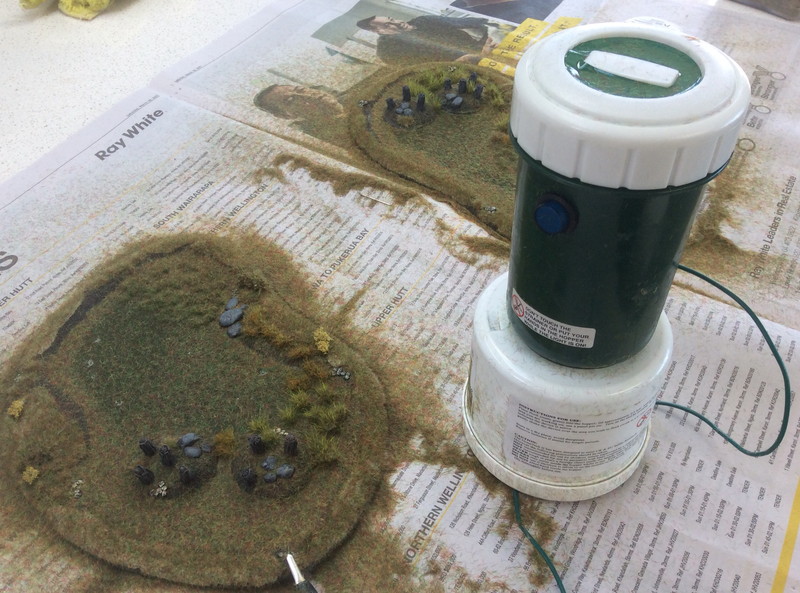 They make the static grass stand up by applying a static charge. 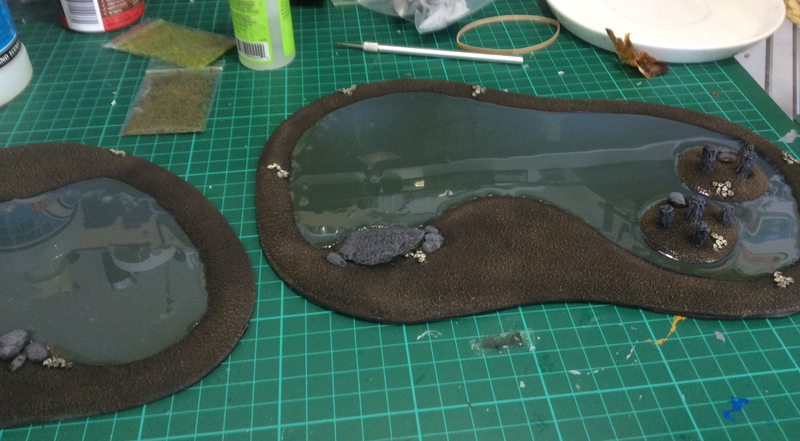 The result looks a lot better than the sprinkle method where most filaments lie flat. They are a bit expensive for what they do. If you are on a tight budget you can make one with an electronic fly swat and a sieve/strainer. There are several youtube videos on making them and using them.